Renewing and replacing the assets that make up our infrastructure is a constant and ongoing task. Organizations must evaluate hundreds, if not thousands, of investment requests each year. This is a highly complex and inefficient process that involves multiple stakeholders across the entire enterprise. 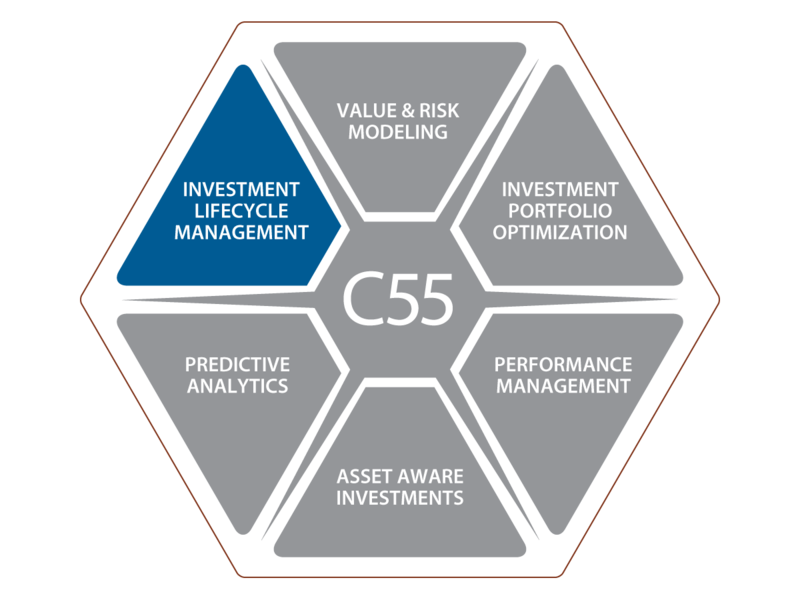 The Copperleaf™ C55 Investment Lifecycle Management solution streamlines the process of developing, approving, and managing investments through their full lifecycle. Effective decision making requires a consistent and rigorous evaluation of every proposed investment. 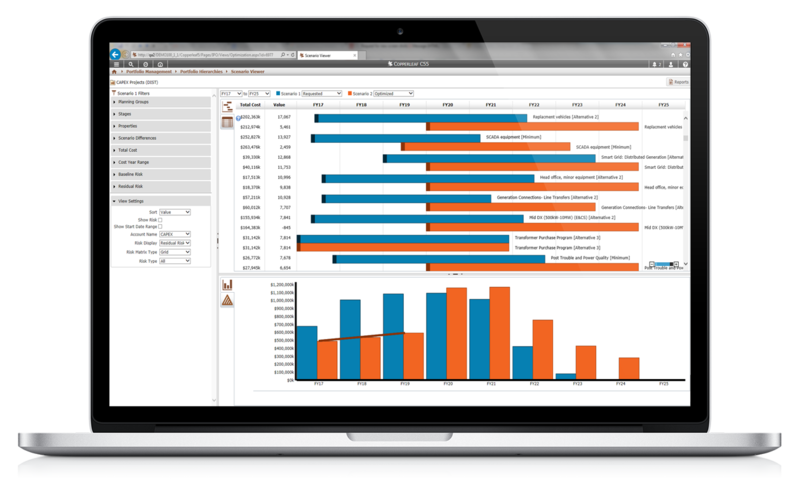 C55™ allows planners to capture detailed business cases efficiently for all types of CAPEX and OPEX investments, including growth, sustainment, regulatory, etc. For each investment, multiple alternatives can be explored—each with its own costs, risks, benefits, resources, milestones and timing. “What-if” scenarios can easily be created to compare and contrast alternative funding strategies and come to the best overall decision. Many companies today rely on spreadsheets to manage investment data. With multiple spreadsheets across multiple departments, the potential for miscommunication and errors is high. C55 provides an enterprise-wide platform for planning teams and relevant stakeholders to operate more efficiently and effectively by collaborating on “one source of the truth” for all planning data. As business cases are refined, and projects are executed, they progress through a configurable stage gate process to ensure appropriate reviews and approvals are obtained. With Copperleaf C55, we have one source of data. We now have more complete and more accurate data (no more version control issues). As such, we can make better decisions on how to control spend for our division as a whole. C55’s ability to compare scenarios also enables us to do gap analysis easily for informed decision making. Forecast sustainment needs & manage risk in your critical infastructure.